That old school deliciousness of milkshake imbued with a fruity strawberry taste. 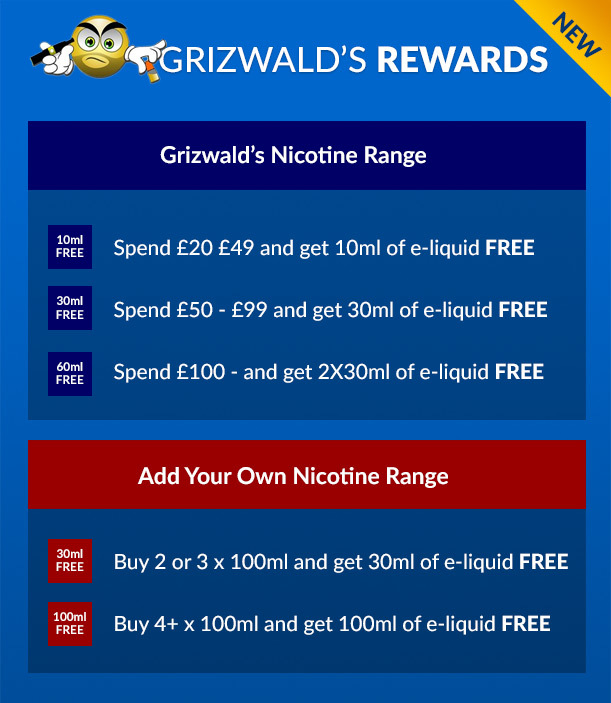 All of the e-liquids from the Grizwald's Nicotine range are UK manufactured and do not contain known respiratory irritants such as diacetyl, acetyl propionyl, and acetoin. Please note: It is known that some e-liquid ingredients can cause cracking, frosting or even melting of polycarbonate, plastic or acrylic tanks and tubes. This list is not exhaustive but flavourings such as absinthe, cinnamon, spearmint, citrus and cola liquids can cause this damage and are better off using these in an atomizer/cartomizer that is glass, pyrex or metal.